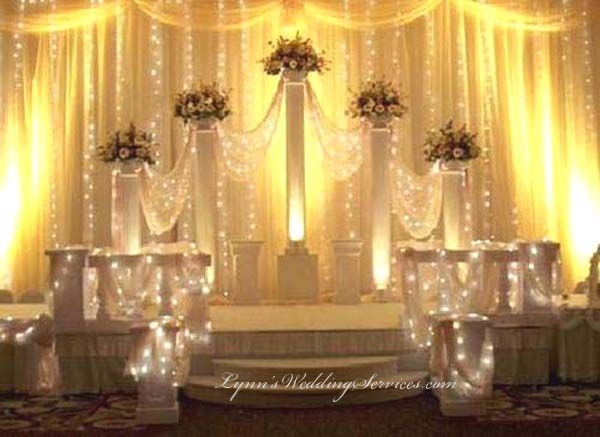 Most of the weddings we worked on nowadays the Brides alway asked for a backdrop ideas behind a headtale or a sweetheart table on the stage. 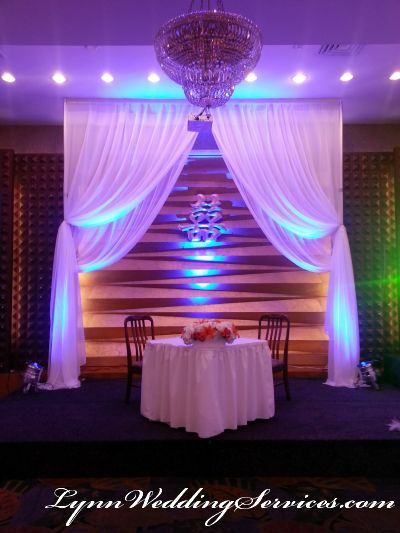 Backdrop can be in any size you requested. We usually advice have the them set on the stage for a better view. 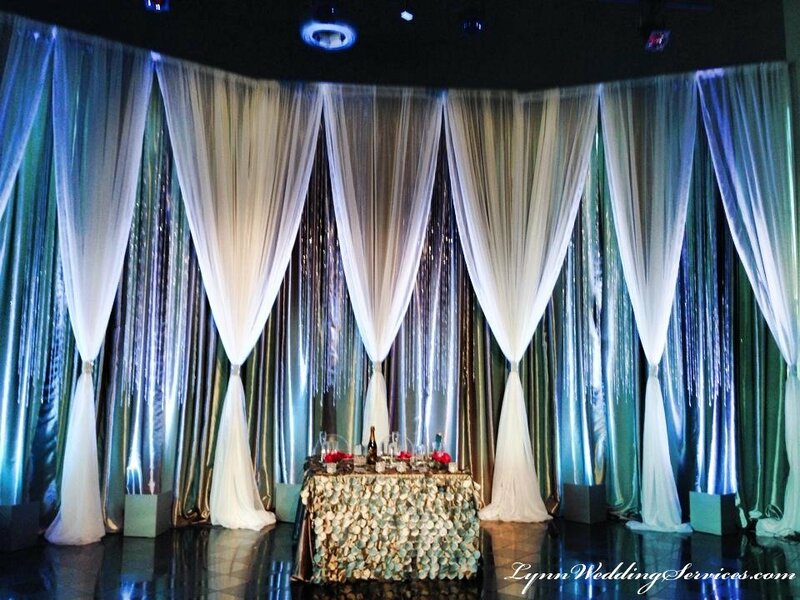 The backdrop will give a focal point in the ballroom. This is where most of the attention your guests will be looking at during the reception. 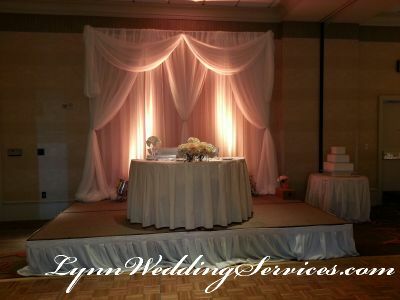 We can custom make any design backdrops based on your theme color. 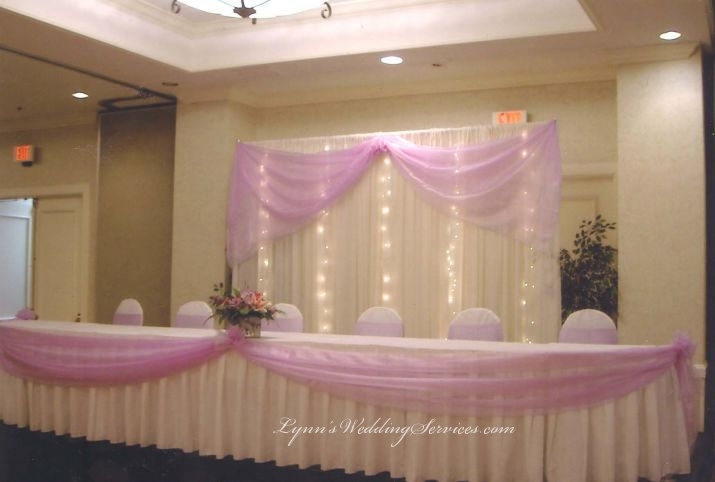 Backdrop can be in any width length or height that you like, price varies based on the size you requested. 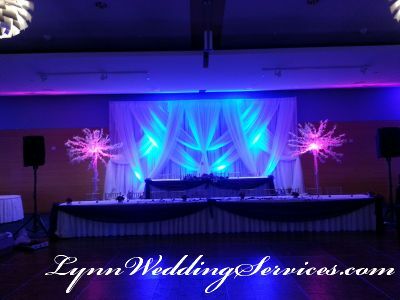 We can do backdrop with any colored uplights, backdrops with rainfall lights, crystals backdrop, and we can also create a photo backdrop at the entrance as well if desired. Due to the custom design purposes for each individual venue, we do not post all of our backdrop galleries on line. We recommend you make an appointment for a consulation so we can help you pick out the perfect wedding backdrop design style and theme color that fit your budget.